There are a metric ton of good toy-related podcasts and “geek shows” out there and now you can add one more to the list: The Breaux Show Live Radio Show! Each Sunday evening at 9:30pm EST, video toy review and web series host Michael Breaux takes to the virtual airwaves via Google Hangout to broadcast a live 30 minute show that runs down the week’s “geek news” and current events. This week topics ranged from the 2013 Super Bowl to the recently-revealed 2013 G.I. 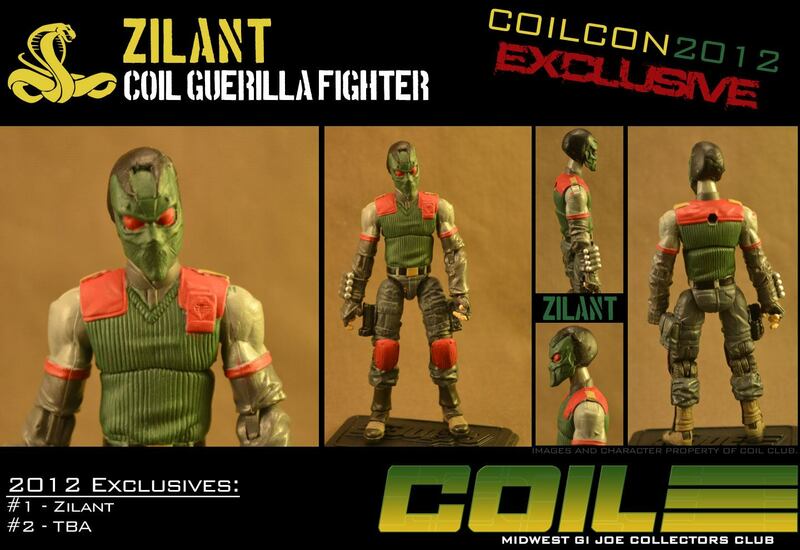 Joe Collector’s Convention set: Nocturnal Fire! He even featured a “hack site admin” from a “familiar Joe site” who discussed his thoughts on this year’s surprising set reveals. In all seriousness, I’ve know the host for many years now and always find his video shows entertaining. He’s got a lot of enthusiasm for action figures and toys in general and it shows! You can watch the YouTube version of the episode below and check out the rest of his work over at TheBreauxShow.com! Check out the synopsis of episode #54, including a surprise bit by a hack website admin. This week we step back into the shadowy depths of the fandom to find the person responsible for the very cool, but very outlawed fan made video game, GI Joe: The Attack on Cobra Island. A crack team of WOJM investigative reporters, seasoned by watching 20/20 tracked down the lead designer of the game, known to us as Lord Skiff (aka Range Viper). Skiff, or Skiffer as Mike likes to call him, agreed to a clandestine interview. TO protect his privacy, Skiff asked that we disguise his voice. He’s an every day collector and fan just like you and me. Find out what he has to say about his game, the C&D issued by Hasbro’s lawyers and its foggy future. Rounding out the first half of the program, our buddy and admin of JoeBattlelines.com, Fred Meyer (aka Leo T. Dragon) gives an indepth review and historical lession of the 2002 JoeCon Crimson Strike Team set. Following halftime we were joined by Michael (aka Counterpunch) co-host of the Seibertron.com Twincast Podcast to discuss the atmosphere at BotCon and some of the differences and similarities of the opposing fandoms. You’d be surprised at what we discover. 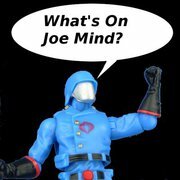 After our good byes with Counterpunch, we dip into the mailbag for some JoeCon related questions. In the news, Chuck GUSHES about the new YoJoe.com layout. The rest of us admit, it is AWESOME! THe GIJCC unveils Stormavik and the first figure of the opposing faction – you get our reactions. All this and a ton more, PLUS we debut our new ORIGINAL theme music by composer Mat Howlett!! 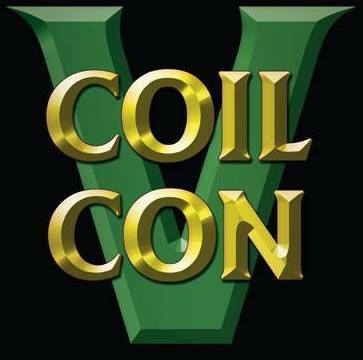 The countdown to JoeCon 2012 continues! Join the fun, won’t you? Apparently they’ll let anyone contribute! Podcast: WOJM #40 – JBL’s Alexx makes an appearance and the voice of Tunnel Rat! 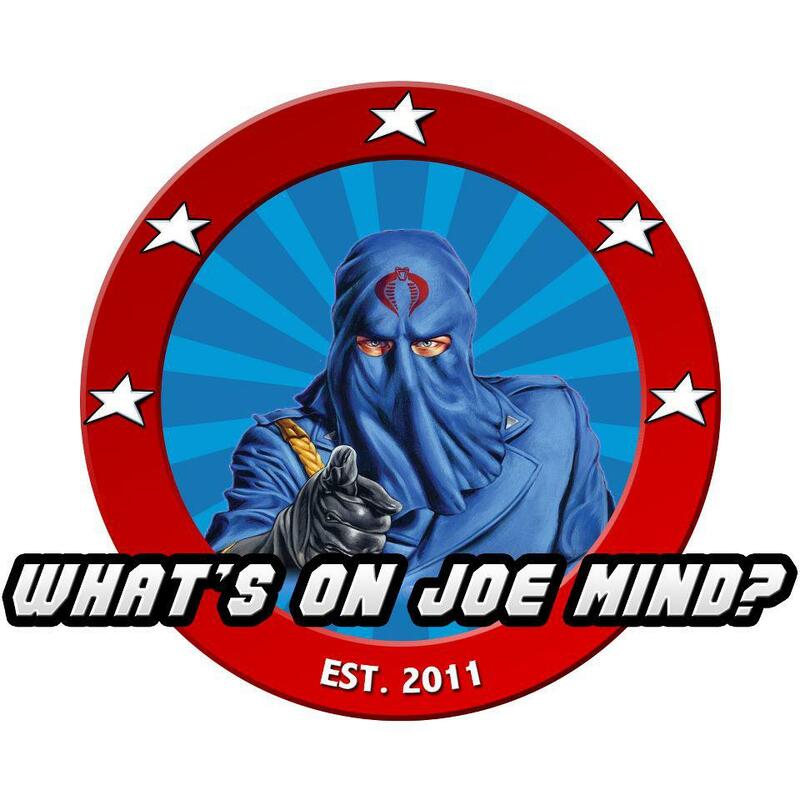 Oh Lordy Lordy, What’s on JOE Mind reached 40! Beach-Head Mike is promoted this week to be our new full time co-host. Also we are joined by our buddy Craig from The Fwooshcast. Chuck steps up in a big way to become our NEW showrunner. It was a light news week but right off the bat we had some breaking news as the GIJCC changed the dates of the 2012 JoeCon back one week and finally announced the hotel location in New Orleans. What was the fall out? Joining us in the virtual studios this week we did find a very eager and well spoken guest in Eric, aka Alexx from Alexx’s Shorts on JoeSightings and JoeBattleLines. He talks to the guys about his unique way of how he blends reviews and humor into his figure pictorials. From the mailbag Chuck answers a letter from his sister Barbara on why he won’t go to JoeCon. Chuck gets real for a moment and let’s it be known that he isn’t a shut-in like he made it out to be. We also answer an older letter from Brad who asks, among other topics, if collectors are ruining Joe for kids with our need to army build. In the second half we hear a pre-recorded interview with Matt Yang King, the voice of Tunnel Rat in GI Joe Renegades. He has some hilarious stories to share and we hope you enjoy them as much as we do. In addition to being promoted to co-host status, Mike is also our anchor on the news desk as we talk about the 80Tee’s up close look at the GI Joe Retaliation Motorcycle. The GIJCC sets Footloose “loose” on the showcase turntable for a full 360 view of what this year’s incentive figure will look like. Lastly, keep your eyes open during NBC’s broadcast of Super Bowl XLVI in Indianapolis for the next official trailer to hit. Don’t forget, this will be the first to really hit the mainstream so it will be interesting come next week on the public reaction to the new direction of Joe. So it’s JoeCon discussion, Alexx, mailbag, Matt Yang King, Retaliation, Footloose and the Super Bowl Trailer! What more can you ask for? Enjoy!! Where do I begin with this one? What could have gone wrong DID in this one. What started out to be a quiet standard episode turned into a 7 man battle royal. I guess people will say, “Well, it wasn’t THAT bad,” and that might be true. Editing removed a lot of the audio “cyloning,” coughing (i.e. check out the 01:20:31 mark for a doozy), wheezing, bickering and wayward topic discussion, you could clearly tell that most of us were simply not on our “A-Game” for this one. First on the guest list was Chris Sims of ComicAlliance.com and War Rocket Ajax podcast. OK, no big deal, standard podcast for us, right? Well, we picked up a surprise host right before starting the record (now 6) and then Mike chimed in on an ill placed show entrance by Gary which interrupted our guest (now 7). Sigh…this was not good. Then the fun poking began as everyone targeted in on Gary for some reason. Now Gary is a good guy, he can take a good ribbing, but when the night begins to spin out of control, well, everyone’s temper becomes a little salty. Here’s a lesson in podcasting folks, don’t irk the editor. When we were done embarrassing ourselves in front of our guest, we read a listener’s letter and listened to some voice mail from friend of the show James Kavanaugh, Jr. In the second half we talk about the two new guests for Roll Out/Roll Call 3 and transitioned into the unfortunate news that no Movie 2 merchandise was shown at UK Toy Fair. We also talk about the upcoming HissTank.com March Madness thread where you can submit what characters you want to see in modern era contrux. Last year’s bracket had some interesting names in the Sweet Sixteen that are now possibly in your collections. Worth a look for sure. Anyways, not sure how this episode will go down in the annals of Joe podcasting lore, but like our very bad pilot episode, you can stomach at least one full listen of the episode. So send all hate mail care of Justin B. to GeneralsJoes.com – he’ll enjoy it! Podcast: WoJM #38 is up with a Renegades special guest! When we started podcasting, our expectations were low. We didn’t expect to be around very long and we would have never guessed that we would have an interview with anyone associated with Joe media. Well, it seemed appropriate on the episode that makes WOJM the longest running Joe-only podcast on the internet (possibly in the world or in all existence for that matter), we book our biggest interview to date. You’ve heard him in our pre-show bumpers, but now we get him for an hour, its Jason Marsden the voice of Duke on the Hub’s GI Joe Renegades cartoon. We can’t begin to tell you how cool it was to hear him in person talk about his experience with the latest Joe toon rendition! He reveals quite a bit to us, but beyond that we just had a very enjoyable talk with a very cool dude…who happened to sound like Duke. To lend us a hand on this landmark occasion for WOJM, we invited AtomicMartian.com’s Jason (yes, two Mikes last week, two Jasons this week) to be part of the interview – BUT, not before being interviewed first about his team’s very popular YouTube toy review videos. Perhaps you may remember Chuck gushing about them on a weekly basis? It was a hectic record night, but thanks to a refreshed Greg and the Jasons’, it all turned out to be one of our personal favorite episodes. A special thanks to Gary Head and all those who called in to congratulate us on this landmark episode. Oh, and Herb from Rhode Island makes a return. We put in a lot of hard work in these shows, so it means a lot to hear from you guys. So who cares if it was a slow news week?! We don’t need no stinking news (it would be nice though). We hope you have as much fun listening as we did recording – editing sucked because of Kevin Watts – just listen and you’ll find out what I meant; he set a new bleeping record. Check it out in the embedded player below!